Anticipate the rising sun ! Cause together, we'll be running somewhere new . Lizz. talkative. random. friendly. flaily. closet romantic. musician. loves pretty boys ♥. can get wildly obsessive. no, seriously. absolutely loves : akanishi jin. nishikido ryo. yamashita tomohisa. kim junsu. kim jaejoong. 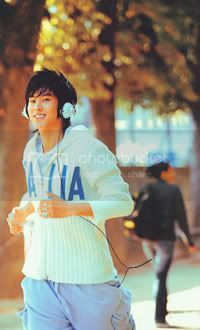 jung yunho. shim changmin. dramas. pv's. shiney new singles. bubble tea.